A laser-assisted procedure that comfortably and easily changes the appearance of your smile and shows off fuller, more beautiful teeth. A ‘gummy’ smile, or one in which the gums are prominent, can cause teeth to look shorter than average and can create a less-than-attractive smile. To correct this common dental issue, Dr. Paul Mathew of Artisan Dentistry uses Laser Gum Recontouring, a laser-assisted procedure that comfortably and easily changes the appearance of your smile. Excessive, uneven gums are sculpted and the laser immediately seals the tissue for faster and more comfortable healing, all in just one office visit. Some patients develop excess gum tissue due to certain medical conditions or medications. Some have developmental problems that prevent the gums from receding normally. Still others may have dental issues due to oddly shaped or short teeth caused by genetics, decay, injury or grinding. Additionally, excessive supporting bone may be the cause. Cosmetic dentist Dr. Paul Mathew has helped many patients with overgrown or uneven gum tissue by using a state-of-the-art laser. 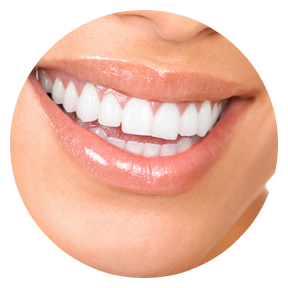 With precision and the artistic skill required, Dr. Mathew can create a more natural looking and beautiful smile. The use of the laser also adds another benefit – helping gums that are red and inflamed to go back to a more natural state, which also results in better resistance to bacteria, a major cause of tooth decay. Best of all, this treatment causes no bleeding, zero pain and quick recovery. Dr. Mathew may also recommend other dental procedures to complete your beautiful new smile, including dental crowns, dental bonding or porcelain veneers. Are you embarrassed by a gummy smile? Laser recontouring may be the right solution for you. This safe treatment can be done quickly and affordably in Dr. Mathew’s office. Please contact Artisan Dentistry today to find out if laser gum recontouring can help you get rid of a gummy smile.